Crackmca.com Study materials,Question papers & Ebooks! Build intelligent web forms that users will love! Windows 10 is a personal computer operating system developed and released by Microsoft as part of the Windows NT family of operating systems. Windows 10 has a bunch of new features that bring new keyboard shortcuts along with them. Here's a list of the best keyboard shortcuts to know to make your time with Windows 10 more efficient. + 1,+2,etc Switch to the desktop and launch the nth application in the taskbar. For example, Windows key + 1 launches whichever application is first in the list, numbered from left to right. + A Open the action center. + B Highlight the notification area. + C Launch Cortana into listening mode. Users can begin to speak to Cortana immediately. + D Switch between Show Desktop (hides/shows any applications and other windows) and the previous state. + E Switch to the desktop and launch File Explorer with the Quick Access tab displayed. + I Open the Settings app. + K Open the Connect pane to connect to wireless displays and audio devices. + L Lock the device and go to the Lock screen. + M Switch to the desktop and Minimize all open windows. + O Lock device orientation. + P Open the Project pane to search and connect to external displays and projectors. + R Display the Run dialog box. + S Launch Cortana. Users can begin to type a query immediately. + T Cycle through the apps on the Taskbar. + U Launch the Ease of Access Center. + X Open the Advanced menu in the lower-left corner of the screen. + Z Open the App-specific command bar. + SPACEBAR Switch input language and keyboard layout. + TAB Open Task view. + , Peek at the desktop. + PLUS SIGN Zoom in. + MINUS SIGN Zoom out. + Left Arrow Dock the active window to the left half of the monitor. + Right Arrow Dock the active window to the right half of the monitor. + Up Arrow Maximize the active window vertically and horizontally. + Down Arrow Restore or minimize the active window. + Shift + Up Arrow Maximize the active window vertically, maintaining the current width. + Shift + Down Arrow Restore or minimize the active window vertically, maintaining the current width. + Shift + Left Arrow With multiple monitors, move the active window to the monitor on the left. + Shift + Right Arrow With multiple monitors, move the active window to the monitor on the right. + HOME Minimize all nonactive windows; restore on second keystroke. + PRNT SCRN Take a picture of the screen and place it in the Computer>Pictures>Screenshots folder. + CTRL+LEFT/RIGHT Arrow Switch to the next or previous virtual desktop. + CTRL+D Create a new virtual desktop. + CTRL+F4 Close the current virtual desktop. + ? Launch the Windows Feedback App. 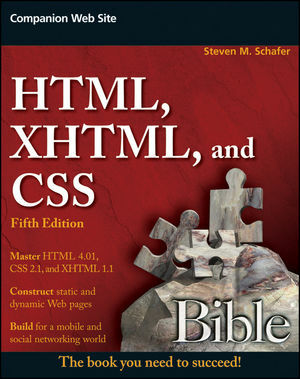 HTML5 and CSS3 for the Real World is your perfect introduction to the latest generation of web technologies. This easy-to-follow guide covers everything you need to know to get started today. You'll master the semantic markup available in HTML5, as well as how to use CSS3 to create amazing-looking websites without resorting to complex workarounds. The results of the Plus 2 results were released today at 10.00 am. Within 10 minutes of results, students received results in their mobile phones via SMS. The Plus 2 Examination was written by 9.34 lakh students, including 8.98 students in Tamil Nadu, were released at 10:00 am today at www.tnresults.nic.in, www.dge1.tn.nic.in, www.dge2.tn.nic.in, students can check their results. Minister Chengottai said that plus 2 results will no longer be published in rank. And he will not name the students who have the first 3 seats. The highest number of students in the state level will not be released. The CBSE, like the state government, will follow. Certificate will be awarded to students who will get higher grade students who are reduced to stress. You can apply until today, 15th, to reconsider the answer and get a copy of the answer; Sunday will not be accepted. The students should apply for the fee at the school they have studied, in the individual and the exam centers.